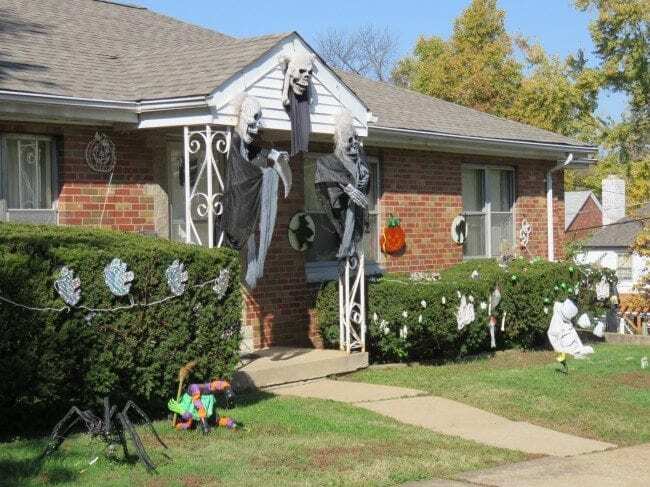 I spent a lot of time in the last few days in University City and Hazelwood at my clients’ homes for sale, and have enjoyed seeing all of the nearby homes decorated for Halloween. 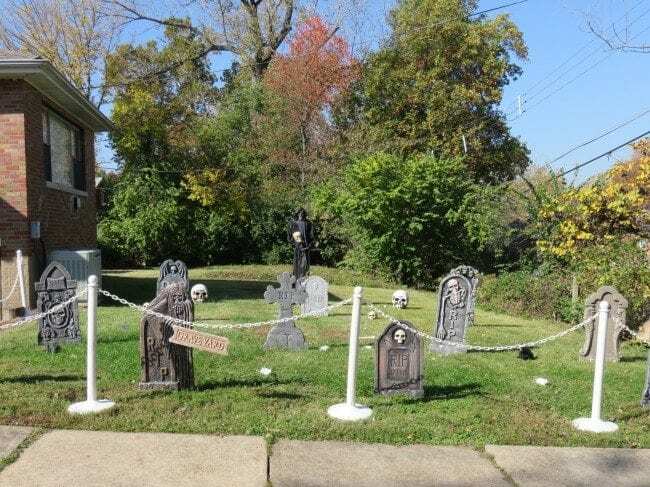 Gravestones, giant spiders and skeletons seem to be some of the most popular ways get ghoulish for the trick and treaters. 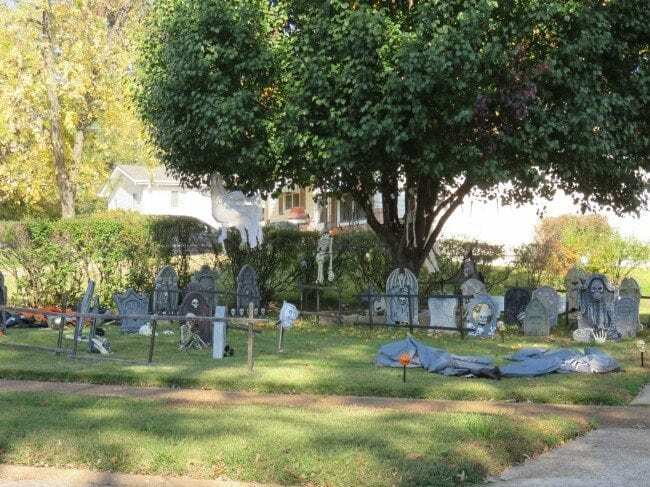 You still have time to decorate your lawn for Halloween. 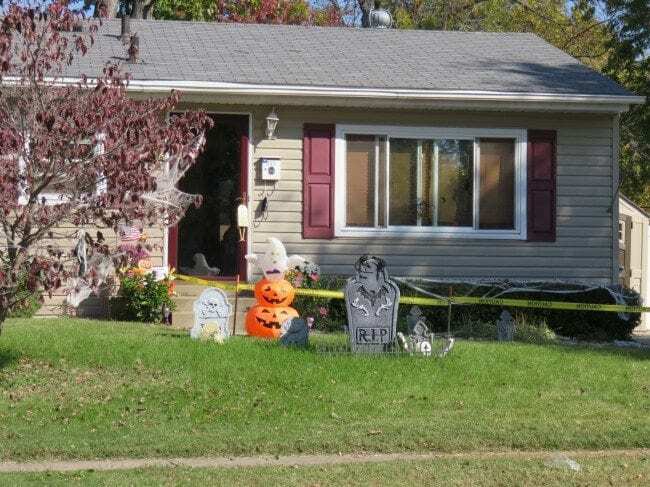 You can probably even pick up Halloween decorations for a deep discount at the local stores. 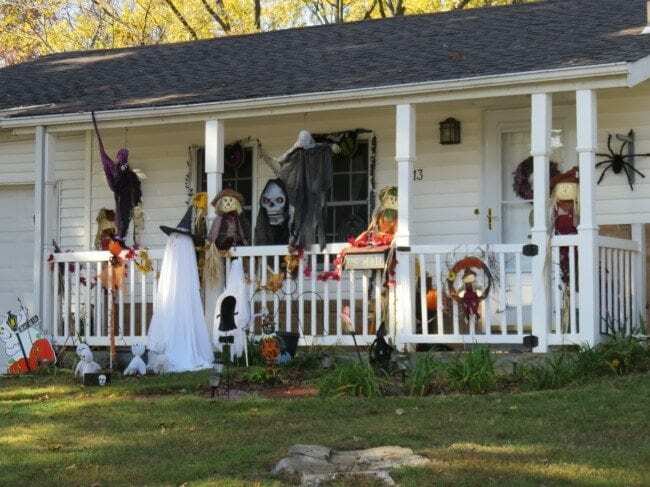 I snapped a few pictures to share of homes that went all out with decorations. I hope it gives you some inspiration to get your holiday creative spirits flowing. 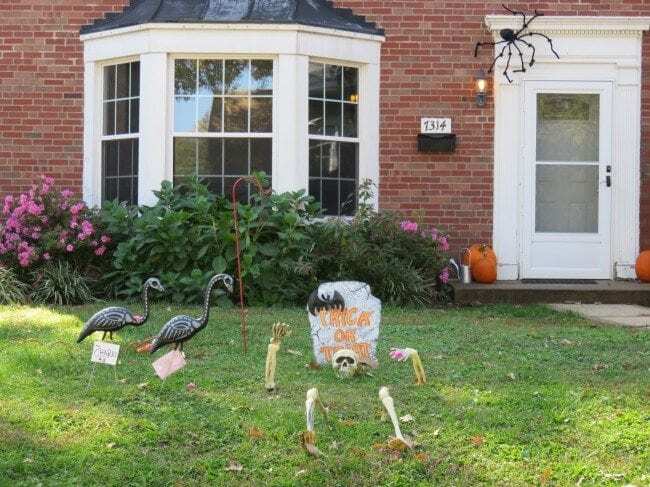 While it’s probably too late to pick up deals on Halloween yard decorations online for this year, the best way to save some money is to buy holiday items within days of the holiday or in the weeks afterwards. Here are a few places you can buy holiday decorations at huge discounts now…so you’ll be all ready for next year. In the interests of full disclosure, these are affiliate links. 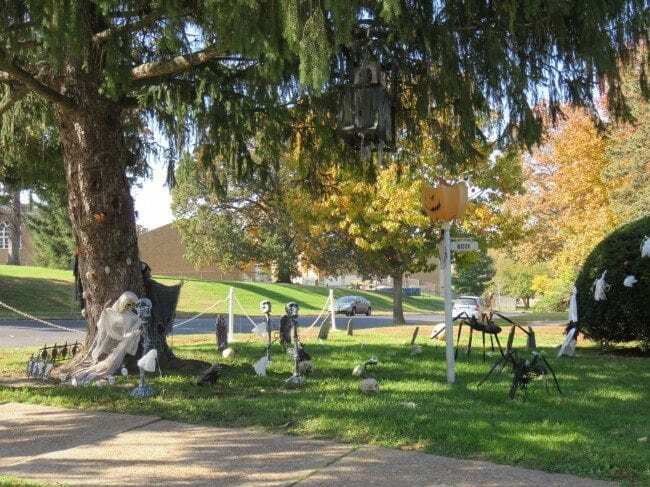 If you decide to check out any of these Halloween online stores and make a purchase, I’ll receive a small payment from the websites for helping you find these deals.